TORONTO (May 5, 2011) – The National Hockey League Players’ Association (NHLPA) announced today that Corey Perry of the Anaheim Ducks, Daniel Sedin of the Vancouver Canucks and Steven Stamkos of the Tampa Bay Lightning have been selected as finalists for the 2010-11 Ted Lindsay Award. The Ted Lindsay Award is presented annually to the “Most Outstanding Player” in the NHL, as voted by fellow members of the NHLPA. This year’s group of all new finalists – Perry, Stamkos, and Sedin – ensures that there will be a new recipient for the first time in three years as Alex Ovechkin won the “Most Outstanding Player” award the last three consecutive seasons (2007-08, 2008-09, 2009-10). Corey Perry, of Peterborough, Ontario, played in all 82 games in the 2010-11 season for the Anaheim Ducks. Corey’s selection as a finalist for the Ted Lindsay Award is his first since entering the NHL in the 2005-06 season. En route to capturing the Maurice Richard Trophy for most goals (50) and finishing third in points (98), Corey was especially dominant in the Ducks’ run to the playoffs. With this nomination, Corey is looking to become the first member of the Ducks to receive the “Most Outstanding Player” award as voted on by the players, and is seeking to add this to his impressive list of accomplishments that includes the Memorial Cup (2004-05 – London), Stanley Cup (2006-07 – Anaheim) and Olympic gold medal (2010 – Canada). Daniel Sedin, of Ornskoldvik, Sweden, appeared in all 82 games in the 2010-11 season for the Vancouver Canucks. Daniel’s first selection as a finalist for the Ted Lindsay Award follows his brother Henrik’s nomination last season. Daniel had an exceptional 2010-11 campaign by all standards, securing the Art Ross Trophy for most points in the regular season (104), tying for fourth in goals (41), and placing third in both assists (63) and game-winning goals (10), while helping lead Vancouver to capturing their first Presidents’ Trophy. With this nomination, Daniel is seeking to become just the second Canucks player to receive the “Most Outstanding Player” award as voted on by the players (Markus Naslund – 2002-03 Lester B. Pearson Award). Steven Stamkos, of Markham, Ontario, appeared in all 82 games in the 2010-11 season for the Tampa Bay Lightning. Steven’s selection as a finalist for the Ted Lindsay Award is his first, and comes one season after he earned a share of the Maurice Richard Trophy for most goals (51). The 21-year-old helped the Lightning return to the playoffs for the first time since 2007, while finishing second in goals (45), placing fifth in points (91) and contributing the second most power play goals in the NHL (17), behind Daniel Sedin’s 18. With this nomination, Steven is looking to join teammate Martin St. Louis (2003-04 Lester B. Pearson Award) as only the second member of the Lightning to receive the “Most Outstanding Player” award as voted on by the players. 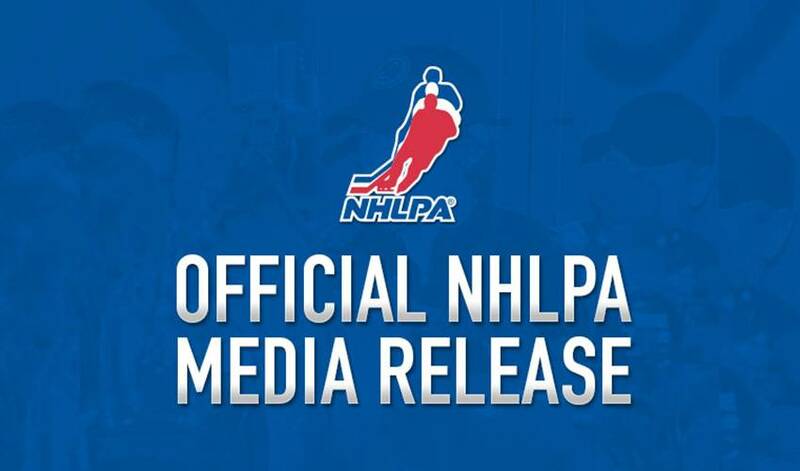 The NHLPA also launched the 2010-11 Ted Lindsay Award Contest today on www.nhlpa.com. Fans are encouraged to select the Ted Lindsay Award recipient, just like the players do. A random draw will take place following the 2011 NHL Awards in Las Vegas NV, to determine the Grand Prize winner, as well as the second and third-place finishers.